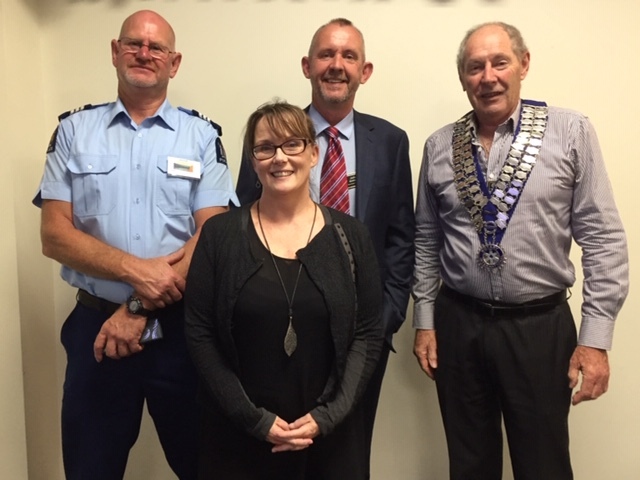 Alison (Ali) Black is the manger for YOUth Inspire (YI), a joint project between Hutt City Council and the Police. The driving course started in 2018 to transition under 25 year olds into jobs and training. Steven said are over 2,500 youth in the Hutt Valley that are either unemployed or in training. A lot of these youth are driving on our roads and they either don’t have a drivers licence, or they are driving outside of their licence conditions. For most of them getting caught and prosecuted is their first introduction to the criminal justice system. Having a criminal record reduces their chances of future employment and 70 % of jobs they apply for will require them to have a driver’s licence. YI already runs learner licence courses every 6-8 weeks and they are getting an 80% pass rate. The new restricted driving course will run over 12 weeks and each student will be paired up with a volunteer driving mentor. The student will get 2 free driving lessons a week, with a maximum of 30 free lessons. A professional driving instructor has been employed to do an initial assessment of each student, picking up their strengths and weaknesses and working out a driving plan with them and the mentor. By engaging with youth in such a positive manner and by giving them good driving skills, hopefully starting with a restricted licence, it's lowering the road toll, increasing trust and confidence in our communities, and reducing youth offending. After showing a video, Ali explained the volunteer system and its requirements. They are currently in the process of training a number of driving mentors, including seven police officers, but we are still actively looking for more volunteer mentors - is this you! What is a Rotary Friendship Exchange, and what does it entail? 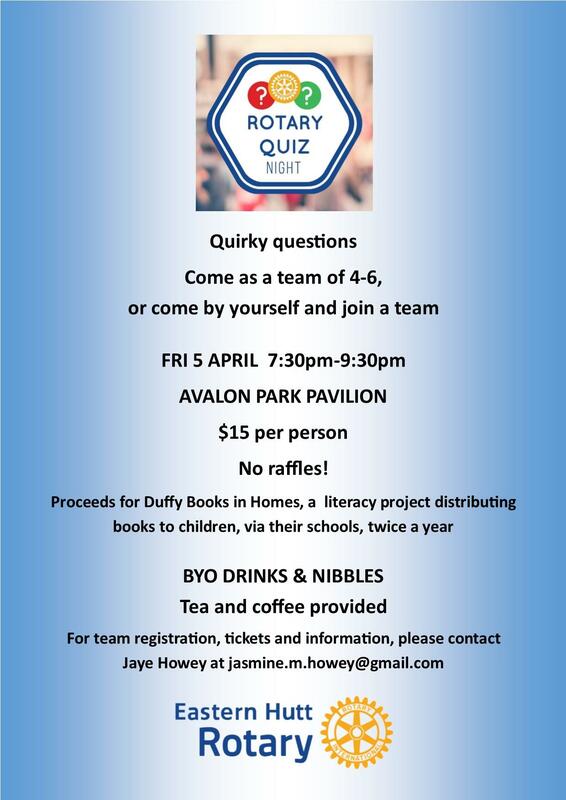 * Quiz Night: Have you got your team yet? Ticket sales are much lower than hope, so please hurry and support this! * The Rotary Foundation: With only a few more days to 31st March, now is the right time to make a tax deductible donation to our own Foundation. Click HERE for more information provided by Richard Perry.